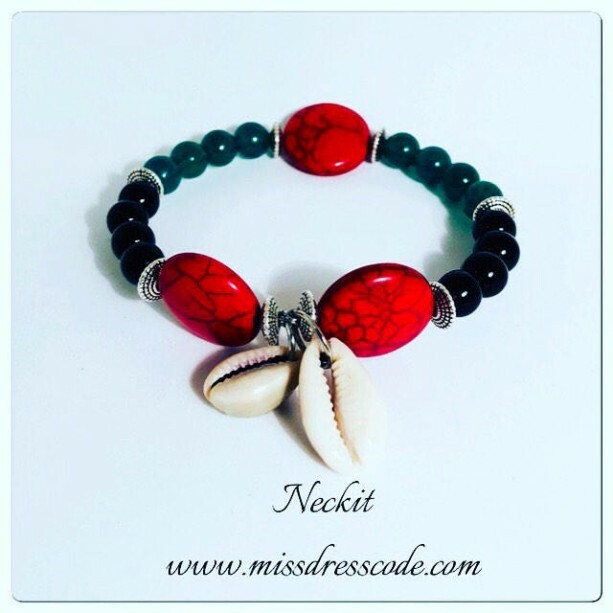 Beautiful bracelet made with speckled ceramic red beads and glass green and black beads. Accented with 2 Cowry Shell charms. Silver metal spacers and memory wire. Nickel and lead free.